NOTTINGHAM, England, September 30, 2018 – Dr. Gang Pan and his team from Research Center for Eco-Environmental Sciences, Chinese Academy of Sciences and Centre of Integrated Water-Energy-Food Studies (iWEF), Nottingham Trent University, U.K., have found a new way to combat the Eutrophication and Dead Zone problems. Eutrophication is the main cause of harmful algal blooms (HABs) which lead to the death of fish and other major aquatic living beings worldwide. HABs are caused by excessive nutrients that come from terrestrial runoff due to increasing human activities and the polluted sediment. The phytoplankton has the priority to compete for the light for photosynthesis and can grow very rapidly to spread and cover entire water ponds or very large area of lakes and oceans, which may cause the depletion of dissolved oxygen (DO). As the phytoplankton dies, it will go to the bottom of the waters where the bacteria will decompose it, which further depletes the dissolved oxygen. If the dissolved oxygen depletes, hypoxia, fish kills and invertebrates like worms and clams will also die. If there is one to 30 percent saturation of dissolved oxygen occurring in a body of water then it is termed as hypoxia; if there is zero percent saturation of dissolved oxygen, then it is termed as anoxia or dead zones. A fish cannot live below the 30 percent saturation of dissolved oxygen. Dead zone or anoxia is often responsible for eutrophication as it creates the conditions for the release of excess nutrients, greenhouse gases and other toxic substances, such as hydrogen sulphide, from the sediment. So far, there is no satisfactory method to control HABs because there is a lacking of safe and cost-effective technology to tackle the globally difficult problems of eutrophication, hypoxia and dead zone. In order to save the aquatic ecosystem, Dr. Gang Pan and his team have used an Oxygen Nanobubble technique to mitigate hypoxia and anoxia (http://doi.org/10.1016/j.scitotenv.2018.04.284). This technology provides a potentially promising principle to tackle the dead zones. When the oxygen nanobubble-modified zeolite is used and sinking by gravity onto the anoxic sediment, it can effectively deliver oxygen to the sediment surface and to the entire water column. The materials are cheap and natural, which can be delivered to deep waters using natural hydraulic forces such as river/current flows and gravity to avoid huge energy costs of mixing that has challenged existing methods. The percentage of dissolved oxygen will be critical for the sustenance of aquatic living beings. Dr. Gang Pan has conducted a column experiment, in which they have created an oxygen-locking surface sediment layer on the sediment which prevents the further depletion of dissolved oxygen in the water. This oxygen-locking surface sediment layer was formed after capping with oxygen nanobubble-modified zeolites (ONMZ) and local soils (ONMS) particles. The synergy of diffusion of oxygen nanobubbles and retention of oxygen in this layer leads to both the increase of dissolved oxygen and reversal of hypoxic conditions. Finally, the water in the treatment system had significantly higher dissolved oxygen (DO) values (4-7.5 mg/L) over the experimental period of 127 days compared with the control systems (around 1 mg/L). The oxygen-locking capping layer was very important in preventing oxygen consumption caused by the reduced substances coming from the anoxic sediment. Dr. Gang Pan’s experiment has helped in mitigating sediment anoxia and controlling nutrient release from sediments, which could help in solving the eutrophication problem and restoring the aquatic ecosystem. This finding has already triggered new studies related to hypoxia and eutrophication. For instance, Dr. Gang Pan and his team found that a thin capping layer of oxygen nanobubble-modified zeolite to the anoxic sediment can significantly reduce greenhouse gas emission such as methane from eutrophic waters (http://doi.org/10.1021/acs.est.8b02320). In 2018, Dr. Pan reported his work on two major international conferences on nanobubbles. He gave a plenary speech at Nanobubbles 2018 (Suzhou, China) and at ACS symposium “Nanobubbles: A Sustainable Solution for Water Treatment and Agricultural Applications” (256th ACS National Meeting, Boston, USA) as an invited keynote speaker. Gang Pan is a physical and environmental chemist and a freshwater ecologist. He works on management of nutrient cycling and pollution control in natural waters and is recognized as a founding member for the field of geo-engineering for lake restoration. He pioneers in developing cost-effective and safe technologies for toxic harmful algal bloom and water-pollution controls (Modified Local Soil technology) and fundamental physicochemical theories (Metastable Equilibrium Adsorption theory) and methods in environmental and geochemical interfacial sciences (synchrotron and quantum chemical calculation techniques). He has a track record in multidisciplinary studies in chemical, environmental, ecological, water, nanomaterials and aquatic geo-engineering areas. He was awarded National First Prize of Environmental Science and Technology of China (2009); “Scientists of the Year” (2010, Chinese national annual award); 2014 Excellence in Review Awards (Environ. Sci. Technol.) and the First Prize of “Dayu Award” in 2017 (the highest Chinese national award in hydrology and ecology). 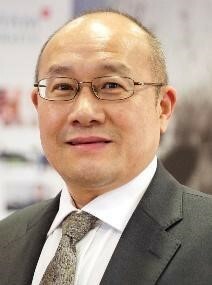 He is vice president of the Water Environment Committee, Chinese Society of Environment; chair of Global Phosphorus Recycling Initiative (GPRI); associate editor for Frontiers in Environmental Sciences; guest editor for Water; and editorial board member of several international journals. He has published more than 240 peer-reviewed papers (H index 42 Google Scholar) and filed more than 50 patents. He is now leading a Centre of Integrated Water, Energy, and Food Studies (iWEF) at Nottingham Trent University, where wastewater and waste industrial gas can be purified and turned into biofuel, electricity and microsphere algae biochar (anti-toxin for agriculture safety) through innovative technologies.